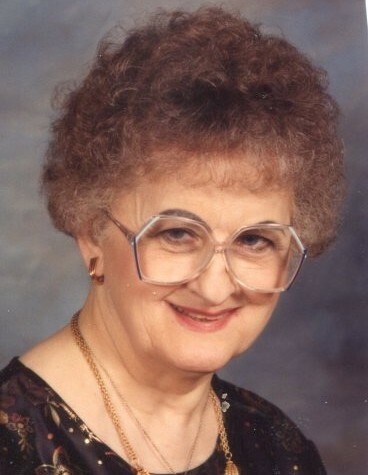 Julia Longshore, 84, Kokomo, passed away at 11:26 am Monday, April 1, 2019, at St. Vincent Hospital in Kokomo. She was born June 14, 1934, the daughter of the late Carl D. & Bernice (Titus) Longshore. Julia was a 1953 graduate of Kokomo High School. She worked for Beltone Hearing Center and Bona Vista in production. Julia was a member of First Evangelical Presbyterian Church and DAR. Julia is survived by her nephews, Chip Longshore, Kokomo, Michael (Connie) Longshore, Kokomo, Jeff Longshore, Kokomo, and Anthony (Brittany) Longshore, Georgia; niece, Leslie Huston, Kokomo; along with a host of great-nieces and great-nephews. Julia was preceded in death by her parents and brothers, Dr. Robert E. Longshore and Carl Longshore. A memorial service will be held at 4:00 pm Wednesday, April 17, 2019, at Shirley & Stout Funeral Home & Crematory, 1315 West Lincoln Road, Kokomo, with Pastor Jerry Van Auken officiating. Friends are invited to visit with the family from 3-4 pm Wednesday at the funeral home. Memorial contributions may be made in Julia’s memory to First EPC or Bona Vista. Messages of condolence may be left online at www.shirleyandstout.com.